Stay tuned. 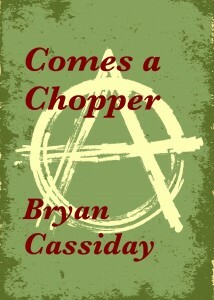 I will soon be having a giveaway of my new horror anthology Comes a Chopper on Goodreads. I will be giving away 10 paperback copies of Comes a Chopper. That’s right–10 copies. Don’t miss this month-long event. With 10 copies available, your chances of winning are better than ever. I’ll let you know when the giveaway goes live. If you can’t wait, you can always buy Comes a Chopper at Amazon.